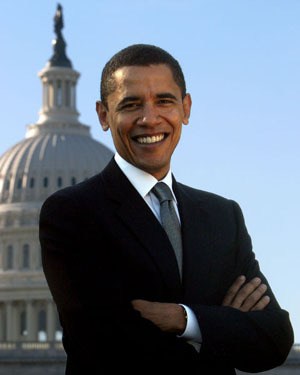 President Obama Releases “Long Form” Birth Certificate – Will This Finally Shut Up the Birthers? In a move that somehow avoided the pre-announcement leaking of the announcement to make an announcement, the White House today released President Obama’s “long form” birth certificate. Yep, the “long form” because the “short form” that everyone else gets when they request their own birth certificate from the State of Hawai’i isn’t good enough for a not quite small proportion of the tea party that are tenderly referred to as “birthers” (or not so tenderly referred to as nut jobs, bigots, and a few other things that I wish not to print on Political Gum Hockey). Because the law in Hawai’i forbade even the person from obtaining their own long form birth certificate, the President had to request that an exception be made, which the Hawai’i Department of Health granted in part because of the constant harassment they have received from birthers. Of course, Obama supplied the normal birth certificate way back in 2008 when the birthers/nut jobs/bigots kept insisting that he was born in pretty much any place but the place he was born (all while somehow not thinking it important that Obama’s competitor, John McCain, was in fact born outside the USA). As it says in the press release of this long form, the original birth certificate is the birth certificate and “This is not and should not be an open question.” But that isn’t good enough for people looking for any excuse to attack the man who would become the first black President (of likely many future minority Presidents) . So will this satisfy the birthers? Before you answer, I’ll admit that this is a trick question. The superficial answer is of course it won’t. While some will shut up, others will find some other contrivance to attack Obama’s citizenship. Why? Because this isn’t really about Obama’s citizenship. It’s about fear. When one looks at the constant drumbeat of the tea party, or at least the most extremist portions of the extremist wing of the Republican party that identifies itself as tea party, there is a pattern. “Obama wasn’t born in the USA.” “Obama is half white.” “Obama is a socialist.” Yada yada yada. All translate to “Obama isn’t one of us.” “Obama is foreign.” “Obama is un-American.” Newt Gingrich, in one of his most illustrative diatribes, said (and I paraphrase) that “Obama doesn’t think like us.” All of these things are code for fear of foreign-ness, bigotry, xenophobia. They have deeper meaning than what they appear on the surface. Keep in mind that the accusations of birthers and related contrived outrages were directed at Obama before he even was elected President, that is, long before he had any opportunity to implement any actual policies. Just like there were contrivances by the South against Abraham Lincoln even before he was elected President. Which is one of the reasons why there are parallels between the “tea party” movement and the onset of the Civil War, and why it could be just as dangerous. But that will have to wait for a future PGH post. For now, we’ll see how marginalized the birthers and their cohorts become now that one of their contrivances is no longer available to them. What are your thoughts of the timing of the release?